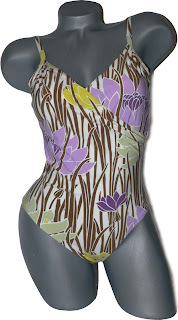 All About Fashion by Jenifers Designer Closet: Manuel Canovas High-End designer Swimsuits...some of the finest there are! Manuel Canovas High-End designer Swimsuits...some of the finest there are! The French fabrics House, Manuel Canovas was founded by Monsieur Manuel Canovas in Paris in 1963. He is renowned world-wide for his beautiful colours, unique floral and luxurious weaves. He is a real reference in the world of fashion and the symbol of a lifestyle. His collections can be found all over the world through the most selective, exclusive and luxurious boutiques and Department Stores. I've never heard of these! They look so chic!